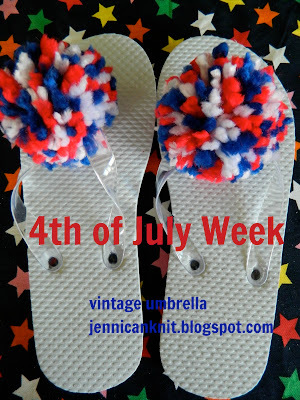 It's 4th of July week here at vintage umbrella. I just love today's project. I will be showing it on fox 9 http://www.myfoxtwincities.com/ this Saturday morning at around 7:45. Start with these paper mache stars from Michael's. I painted them red and cut the gold strings off them. I traced the stars onto scrapbook paper and modpodged them onto the paper mache stars. I arranged the stars on a flat wreath form and added a little ribbon and pompom trim. Once everything was laid out, I hot glued the stars on. Hi Jenni! this is my first time here and I came here by way of Creative Breathing. Super Cute wreath!! 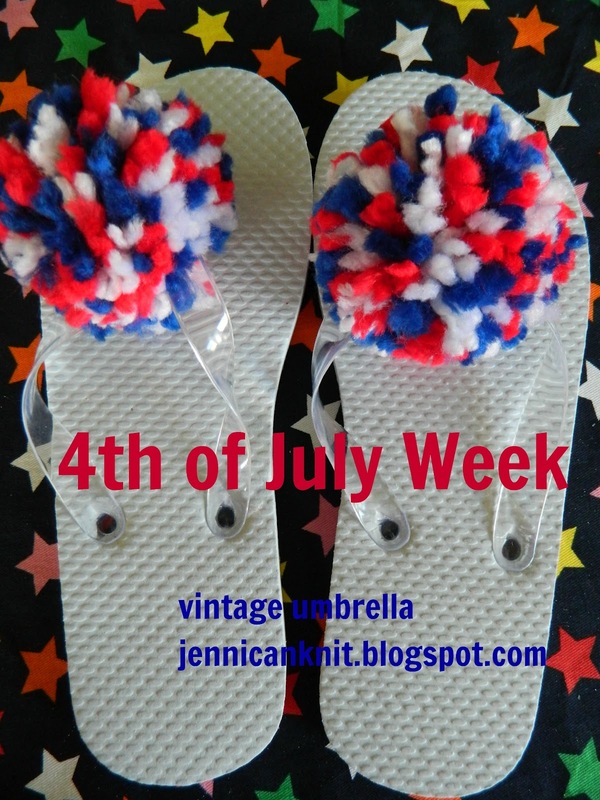 !Love it!very patriotic! I got a feeling there's gonna be a run on Michael's real soon! Love it! I must grab my coupon and go shopping! Love this...so cute and festive! i bet your ENTIRE house is CREATIVE and FESTIVE... I bet you even decorate the corners and the bathrooms... I imagine your place to be FUN from HEAD to TOE!! Someday maybe you could give us a full tour?